Growing up in New York City as the daughter of famous Palestinian intellectual Edward Said, Najla Said—actress, playwright, and author—often felt conflicted about her cultural background and identity. In her memoir, Looking for Palestine,and informative talks, she testifies to the challenges of negotiating Arab identity and the second-generation immigrant experience in America. Growing up in New York City as the daughter of a famous Palestinian intellectual father and a sophisticated Lebanese mother, it wasn’t rare for Najla Said to answer the door as a young girl to world-renowned scholars or sit in on heated political discussions over dinner. Yet in spite of her extraordinarily cultured and colorful upbringing, Najla admits to being a young American girl who simply wished to fit in and who often felt conflicted about her cultural background and identity. Looking for Palestine: Growing Up Confused in an Arab-American Family, is the warm and engaging memoir born out of Najla’s hugely popular one-woman show, “Palestine”, which had a nine-week sold-out run Off Broadway and earned features in the New York Times and the Los Angeles Times, among others. Having already won the praise of Cornel West, Looking for Palestine is not only an enlightening testament about negotiating Arab identity in America, but also a universal coming-of-age story resonant with children of immigrants and anyone who has experienced ambivalence toward their parents or background. 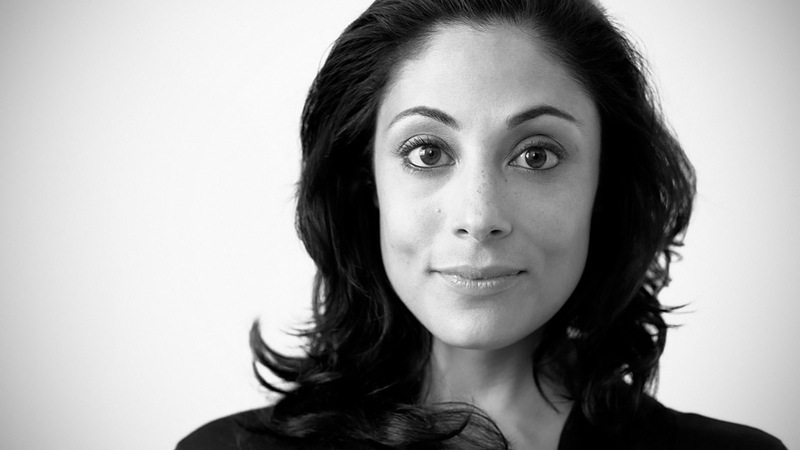 Najla may haven been born a Palestinian-Lebanese-American, but in her mind she grew up first as a WASP, having been baptized Episcopalian attending the wealthy Upper East Side girls’ school Chapin, then later as a teenaged Jew, essentially denying her true roots, even to herself, until well into adulthood. As she grew older,making increased visits to Palestine and Beirut, Najla’s worldview shifted. The attacks on the World Trade Center, and some of the ways in which Americans responded, finally made it impossible for Najla to continue to pick and chose her identity, forcing her to see herself and her passions more clearly. Looking for Palestine is a candid, funny and deeply moving memoir that chronicles Najla’s journey into adulthood and solidifies her as an important voice for second-generation Arab Americans across the country. Najla Said’s Looking for Palestine is a compassionate and candid book on her courageous coming-of-age in contemporary America. Said is a brilliant, talented and sensitive artist with a larger-than-life, loving father. Her complex persona, self-deprecating humor, and focus on the personal rather than the political broaden the appeal of Said’s book beyond any particular ethnic, cultural, or religious audience. In an illuminating memoir, the daughter of Edward Said, the writer, academic and symbol of Palestinian self-determination, explores her complex family history and its role in shaping her identity. . . An enlightening, warm, timely coming-of-age story exploring the author’s search for identity framed within the confounding maze of America’s relationship with the Middle East. A deeply penetrating, often hilarious, and occasionally devastating account of growing up Arab American. Of course, Najla Said’s scramble for her identity is uniquely hers. How many of us, after all, have had world-famous intellectuals as fathers, experienced the civil war in Lebanon first hand, and been kissed on the cheek by Yasir Arafat (which she hated)? But after finally finding the conviction to be at peace with herself, Najla Said has written more than a memoir. Looking for Palestine is a survivor’s guide for all of us who live with that feeling of being out of place wherever we are.